The LAAD Defence & Security International Defence and Security Exhibition is a key meeting point for militaries, police forces, authorities and professionals of defence and security, and the leading Latin America Defence and Security event. LAAD is supported by the Brazilian Ministry of Defence, the Military Forces, the Brazilian Ministry of Justice and Brazil’s Public Security’s structure. The event gathers international and national companies that provide technologies, equipment and services for the Armed Forces, Special Forces, Police Forces, Homeland Security and also security managers from large companies, service concessionaires and critical infrastructure. Alaris Antennas is currently exhibiting at this event as part of the South African National Pavilion. Our representative is waiting to meet you there. The WD528Q is a compact Counter-RCIED manpack antenna that provides ideal performance over the entire frequency band. The antenna comes with a steel shock absorption spring by default, but is also optionally available with a flexible gooseneck, lightweight rubber spring or without a spring. 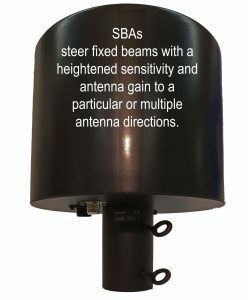 The WB25512R is a high performance manpack antenna for use in portable communications and jamming applications within the complete 25 – 512 MHz frequency range. The WB25175C is a high performance manpack antenna which is particularly suited for portable radio and jamming applications in the 25 – 175 MHz frequency range. Alaris Antennas can now manufacture fully RoHS compliant products as of the end of December 2018. All leaded solder has been replaced by lead-free solder and during December 2018 an internal audit was done to ensure all had been removed. Lead solder will be exclusively used when we work on products which were previously manufactured with lead or in accordance with customer specific requirements. This work will be done in a secure area. The chromium-6 Alodine treatment has been replaced by a RoHS compliant conversion coating process some months ago. All ex-stock parts will be stripped and coated in accordance with the updated processes, on a per use basis. Paints which had non-compliant chemicals were replaced with RoHS compliant equivalents. The basecoats were tested for adherence, and we selected a compliant basecoat which provided the best adhesion and performance. Alaris Antennas can now provide (upon request) with every product delivery, an accurate REACH statement. RoHS and REACH requirements are communicated to the suppliers as well Conformance certificates obtained where possible. 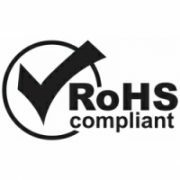 The above encapsulates the major changes implemented for RoHS and REACH compliance. Kindly note that the adherence to the above statement is monitored by the QA department and will also form part of the annual quality audit cycle. For further information, please enquire here. 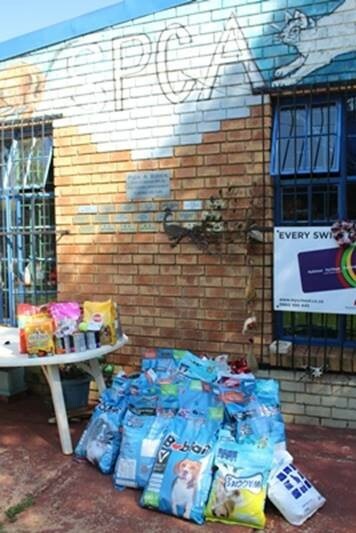 During December, the staff at Alaris decided to round of the year with a community project by supporting the SPCA in Centurion. 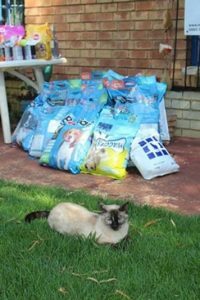 Whilst everybody was looking forward to a well-deserved break in December, we were reminded by the reality that it is not always the best time of the year for our 4-legged friends. Some animals are very fortunate to travel with their families, but just like humans, there are a lot of animals who live in terrible conditions during this time …. 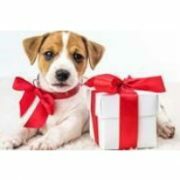 In addition, some caretakers need to remain with the animals to take care of them, often with a concern of having enough food for the animals. Alaris employees therefore decided to take action and to relieve some of the stress for the team who is doing an awesome job looking after the animals in their care. 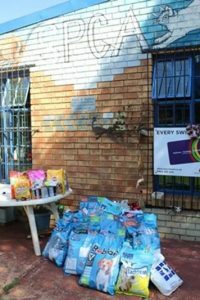 Although they are in need of a lot of items, we focussed on providing them with the basic need … food for the animals. The staff opened their hearts and a whole lot of bags of food were donated, even some toys were added for exercise and fun. The SPCA appreciated and welcomed the support from Alaris. Alaris Antennas designs and manufactures a range of Spiral Antennas, which can be customised to suit each client’s requirements. Spiral antennas belong to the class of frequency independent antennas which can be designed to operate over a wide range of frequencies. Polarization, radiation pattern and impedance of these antennas remain relatively stable over a large bandwidth. The antenna is designed to use two conductive spiralled arms, extending from the centre outwards. The antenna may be a flat disc, with conductors resembling a pair of loose spirals, or the arms may extend in a three-dimensional shape like a spring. The direction of antenna polarisation depends on the direction of rotation of the spiral. Possible applications of these antennas are wideband communications, spectrum monitoring, direction finding and signal suppression. 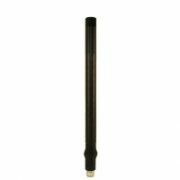 The two types of spiral antennas that are offered by Alaris Antennas are cavity backed and conical spiral antennas. Cavity backed spiral antennas are inherently circularly polarized with medium gain. An array of spiral antennas can be used to increase the gain. The cavity changes the antenna pattern to a directional shape. Conical spiral antennas offer higher directionality and gain, which is often required for communications and signal suppression applications. Below are the current spiral antenna designs offered by Alaris Antennas. Please click on each product to view it on our website. Keeping our oceans safe is not an easy task even for the best-engineered high-tech hardware. Antennas need to cope with some of the world’s harshest and most isolated ocean environments. Intense cold, extreme corrosion, ice, rain, hail, vibration and the constant jarring force of the waves must all be overcome on a daily basis. Added to this is the requirement for maximum product reliability, given that shore-based workshops and specialist technicians are far away. These are among the challenges being successfully met by South African-based Alaris Antennas, a designer and manufacturer of high-technology antennas. 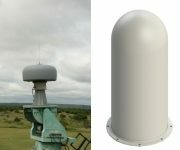 Among Alaris’ most successful products is the DF-A0037, a direction-finding antenna in service with naval peacekeeping forces from Europe, Asia and Australasia. It is capable of monitoring signals and tracking their direction of source (direction finding) in the high frequency (HF), very high frequency (VHF) and ultra-high frequency (UHF) bands. The product is used in applications such as intelligence gathering, counter-piracy, counter-smuggling, deterring illegal fishing and general security tasks. The DF-A0037 was first unveiled in 2010 and, according to Alaris Holdings CEO Juergen Dresel, continues to be refined and customised to meet the requirements of each naval customer. 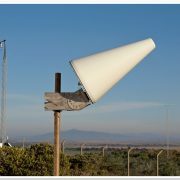 Using the core competencies in research and development, engineering and manufacturing possessed by its operating companies – Alaris Antennas (South Africa) and COJOT (Finland) – Alaris Holdings provides electronic peacekeeping and communication products for a variety of applications. These include electronic counter-measures to prevent the remote detonation of bombs, jamming of enemy communications, monitoring of enemy communications and signal direction finding. The products may be mounted on vehicles, aircraft, drones, ships and submarines, or carried by individuals. In the civilian environment, the company’s technology is used by test and measurement businesses and frequency regulatory bodies. [Centurion, 2 October 2018] – Alaris Holdings is a technology holding company listed on the JSE AltX since July 2008. The company announced today that an agreement was signed between Alaris Holdings and United States based company mWAVE Industries, whereby Alaris acquired mWAVE. Alaris confirmed that it applied for and received unconditional CFIUS (Committee on Foreign Investment in the United States) approval from the US Government to go ahead with the acquisition. The final closing requirements were concluded on 30 September 2018 and the acquisition takes effect from 1 October 2018. The Alaris Holdings Group consists of Alaris Antennas (South Africa) and COJOT (Finland). The Alaris strategy is built on three pillars, namely radio frequency technology, owning intellectual property and global presence. One of the main objectives for Alaris is to expand its footprint globally. The US market is the largest defence market in the world representing approximately 60% of the global market. The US administration has for the first time in a few years, voted for and approved an increased defense budget to the amount of about $716 billion for 2019. Alaris Antennas, a subsidiary of Alaris Holdings and with its head office in Centurion (South Africa), designs, develops, manufactures and sells specialised broadband antennas as well as other related radio frequency products. Its products are used in the communication, frequency spectrum monitoring, test and measurement, electronic warfare and other specialised markets. Clients are located across the globe, mostly outside of South Africa (the Americas, Europe and Asia). Its clients are system integrators, frequency spectrum regulators and players in the homeland security space. Alaris has grown annual turnover and profits consistently since its establishment in 2005. The competitive advantage for Alaris Antennas is its ability to develop and hold its own IP as a result of its client centric model. Approximately 90% of the company’s revenue is derived from exports, which provides a strong justification to increase the Group’s footprint globally. 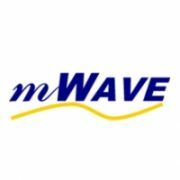 mWAVE Industries, LLC is based in Windham, Maine in the United States and is a leading global provider of innovative custom and commercial microwave antenna solutions with special focus on 60, 70, 80, 94 & 110 GHz Millimeter Wave Reflector Antenna. Their microwave antenna brands include the industry leading Mark Grid, Gabriel, mWave and Quickfire lines of terrestrial microwave antenna which are recognized worldwide for their robust designs and reliability. The company was established in 2004 and designs and manufactures standard and custom microwave antenna products for commercial and government applications spanning the scientific, defence, and academic communities. mWAVE Industries specializes in parabolic grids, solid parabolic and directional panel antenna as well as feeds including conscan and monopulse designs. mWAVE’s additional product offerings consist of micro-strip arrays, panels, horns, helices, sectors, omnidirectional antennas and waveguide arrays. mWave Industries maintains a fully equipped antenna test range that is used to verify new antenna designs and for production verification and third-party testing for its customers. COJOT was founded in 1986 and is located in Espoo, Finland. The company has 30 years of experience in the design, development and manufacture of innovative antenna products, serving military and public safety markets globally. 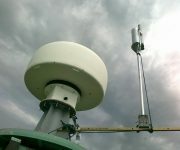 COJOT develops innovative broadband antennas to improve connectivity, coverage and competitiveness of radio equipment which is deployed to save lives and protect property. 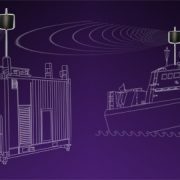 The company offers reliable and durable antenna equipment, which are designed to function in some of the most demanding environments throughout the world. A trend in the antenna technology field is that of smart antennas. The Group’s engineers are well-positioned to drive this trend, creating products that allow functions like automatic frequency tuning, switched beam antennas and multiple port antennas. According to Group CEO of Alaris Holdings, Juergen Dresel, and major shareholder of mWave, Peter V. Anania who will be nominated to serve on Alaris Holdings’ Board, negotiations were focused on creating an environment which will have strategic benefit to both organisations. “The product lines complement one another and by joining forces, the companies will be able to provide an expanded product portfolio and improved service to customers, “says Dresel. Companies within the Group are strongly focused on research and development and hold exploitable patented technologies that can be monetized into the future. mWAVE’s extensive experience in design and strong specialisation focus, will add value to the Group’s competitive features and will enable an increased performance and product offering to the customers. With the background of the three companies in the Group, it is expected that the fostering of design innovation and continued pursuit of novel technologies will be enhanced through the sharing of ideas and talent in these organisations. “Being a client-centric organisation with clients based worldwide, the Group’s strategy was to expand its global footprint in order to be closer to its clients. With the acquisition of mWAVE, this objective becomes a reality,“ says Dresel. Further, Dresel says, “We are very pleased to welcome Peter Farnum, Managing Director of mWAVE Industries, as part of the Group’s management team moving forward.” Peter holds a Mechanical Engineering degree from the University of Maine, US and has extensive experience in the telecommunications industry. He further stated that, “It is a privilege to have a high calibre management team at mWAVE, who are well experienced, hold specialised engineering skills and who shall assist in driving the company forward.” Part of this team is Chris Mosher, Chief Technical Officer and senior engineer with 20 years’ experience in RF antenna development and Michael Cahill, Vice President Sales & Business Development, being highly successful in selling predominantly into the telecoms market. “Since the market in the US holds significant opportunities and international expansion is an important part of the Group’s global strategy, we are confident that this acquisition will not only provide increased benefits to our customers, but will improve shareholder value as well,” says Dresel. For more information, please contact: CEO Juergen Dresel, Alaris Holdings Ltd +27 (0)11 034 5300, juergen.dresel@alaris.co.za or CFO Gisela Heyman, Alaris Holdings Ltd +27 (0)11 034 5300, gisela.heyman@alaris.co.za. Alaris Antennas has recently acquired and installed specialised ESS equipment, which will allow us to conduct a number of various environmental tests in-house. The new equipment was designed, manufactured and installed by a South African company and consists of a walk-in temperature and humidity chamber as well as two vibration tables. Environmental Stress Screening, or ESS, is a method used to identify possible product failures which are likely to occur in the actual service of the equipment. It was developed to assist electronic manufacturers to detect product defects during the design and production stages. 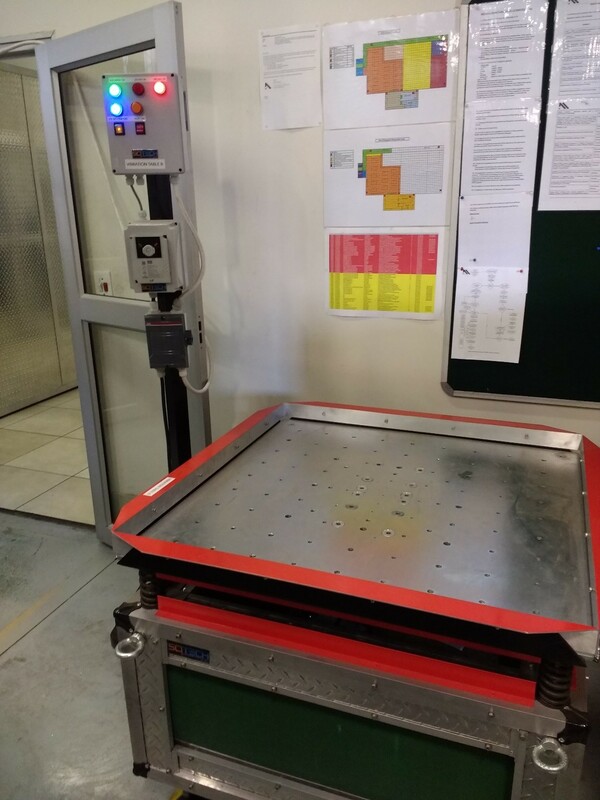 This specialised equipment is widely used in various applications and can form part of the manufacturing process or it can be used in new product qualification testing. 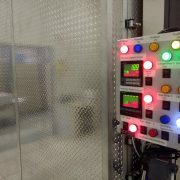 ESS involves the testing of the impact of extreme temperature cycling (the products are exposed to a number of fast temperature changes which can range from – 30O to 70+O C), vibration testing, shock and humidity variations. Alaris believes that this implementation will advance customer service, since any defects uncovered during the Environmental Stress Screening process will lead to improvements in the manufacturing process. In addition it will guarantee better operational reliability and performance of our products.